Posted 17 August 2013 by Andy Short & filed under activity, news. 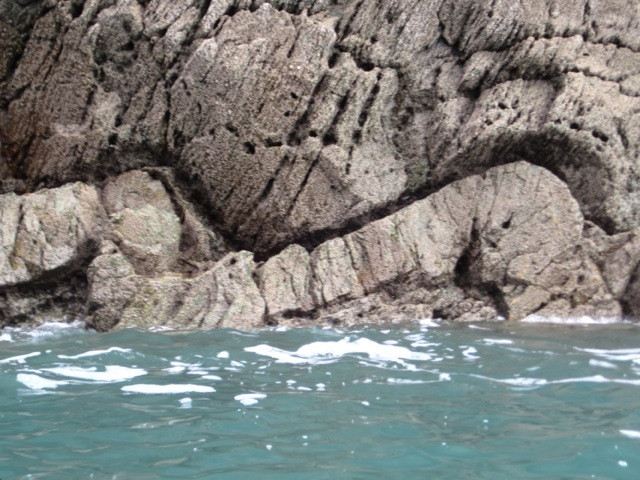 During the Summer Term BActive@Rhoscolyn has been working with local Secondary Schools to offer pupils the chance to get out of the classroom and learn about Anglesey’s fantastic geology – ‘up-close and personal’. This pilot project was funded by the Ymweld y Mon project at Anglesey County Council, and supported by GeoMon. 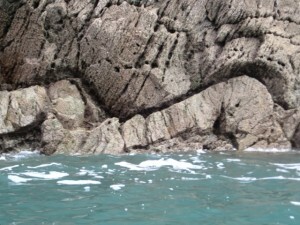 The pilot offered pupils a half or full-day guided coastal walk providing an in-situ interpretation of the theoretical geology covered as part of the GCSE curriculum in Science and Geography. Geological processes such as plate tectonics, continental drift, coastal erosion and glaciation were explored using evidence from the landscape. 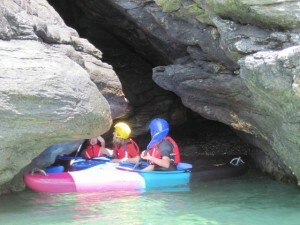 Pupils were then offered the unique opportunity to explore the rocks at close quarters from the perspective of the sea by kayak. This was a particularly valuable opportunity as the rugged coastline provides an unparalleled view of a cross section through layers of sedimentary rocks and the folding and refolding of these rocks over millennia. 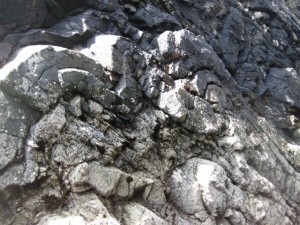 Igneous dykes and fault lines can be identified and discussed in relation to the variety of habitats they create. BActive was well placed to deliver the project as an established AALA licensed kayaking and activity provider, and as Andy Short is a GeoMon accredited Anglesey Geology Guide. Four local Secondary Schools took part in the pilot, each taking a slightly different approach in terms of year group and subject specialism. 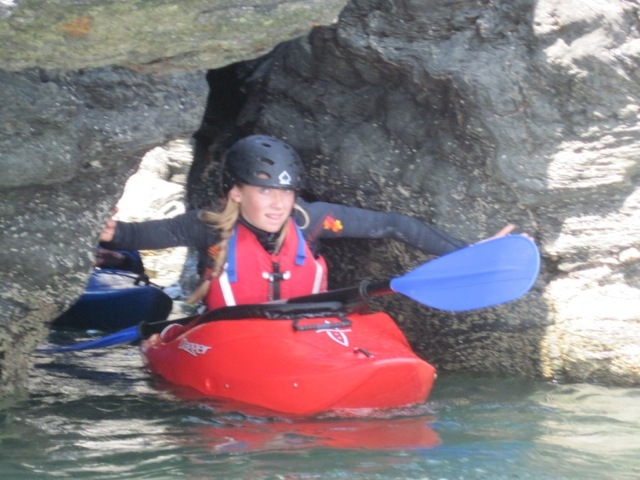 85 pupils took part in total with Geology Walks being run at Llandwyn Island and Rhoscolyn, and kayaking sessions in Trearddur Bay and Rhoscolyn. Initial feedback from the sessions was extremely positive and BActive will be looking to further develop this work in 2014.